Prior to a Learner starting a Course they need to be entered into Wisenet. It is important that all the relevant fields in their Profile be completed to avoid errors when reporting. 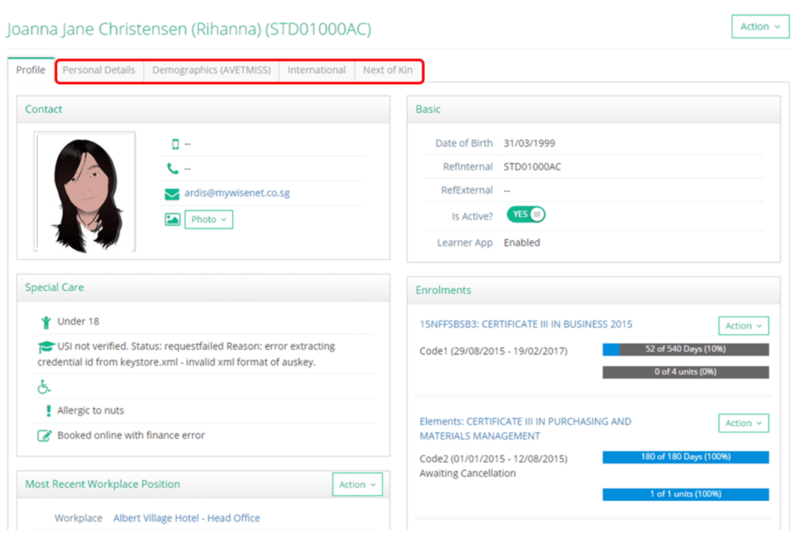 Do you want to record more Learner details now? If your Learner only has one name their ‘name’ will need to be entered differently to avoid errors. Go to relevant Learner Profile.